Since 2002, the year the FDA approved Botox to treat facial wrinkles, this neuromodulator has been the world’s most popular cosmetic procedure…every year. There’s a simple reason for this enduring popularity: Botox works. It effectively removes or significantly reduces wrinkles on the upper third of the face. Botox is just one of the injectables we offer at North Scottsdale Med Spa in Phoenix, AZ. Botox is made from the botulinum toxin type A, the same bacteria responsible for botulism. That sounds really scary, but back in the 1950s scientists discovered an interesting thing about the botulinum toxin — when a miniscule amount was injected into a muscle the toxin temporarily stopped the muscle from contracting. This discovery directly led to the development of Botox. Originally, Botox was approved by the FDA and used to treat involuntary eyelid spasms. Since that initial approval, the uses for Botox have expanded dramatically. Botox is now used to treat migraine headaches, TMJ symptoms, urinary incontinence, even excessive underarm sweating. Still, Botox became a household name for another reason — erasing facial wrinkles. The FDA approved it for addressing wrinkles on the upper third of the face. These are crow’s feet, the 11s, and forehead lines. When injected into a muscle, Botox stops the muscle from contracting by blocking the nerve messages sent from the muscle to the brain. That makes obvious sense when a muscle is misbehaving, such as with involuntary eyelid spasms. But Botox works on wrinkles a little differently. A certain type of wrinkle, known as “dynamic” wrinkles, forms due to muscle contractions under the skin. These occur on the upper third of the face, the expressive area of the face. When you frown, show surprise, squint, and make other expressions, you can feel the muscles around your eyes, between your eyebrows, and on your forehead engage. Over time, as our skin thins, these repeated muscle contractions with these common expressions begin to form wrinkles on the surface skin. These are crow’s feet, the 11s between your eyebrows, and forehead lines. When injected into the muscles that form these wrinkles, Botox blocks the nerve messages, so the brain never gets the message to contract the muscle and the muscle stays relaxed. No contraction = no wrinkle the surface. Such is the magic of Botox. Would Botox work for me? Pretty much anyone over the age of 35 or 40 is a good candidate for Botox. Its effectiveness, however, depends on the wrinkles you are trying to remove. If your wrinkles show themselves at all times, similar to a wrinkled shirt, these are called “static” wrinkles. Botox does not affect these wrinkles. Static wrinkles are treated with dermal fillers such as Restylane and Juvederm, and they typically form on the lower face in areas where we lose volume. Botox works on dynamic wrinkles that develop when we make expressions. These wrinkles occur on the upper third of the face, the expressive area of the face. What areas of the face does Botox affect? Botox only works on dynamic wrinkles that form due to muscle contractions under the skin. These form on the upper third of the face at the sides of the eyes (crow’s feet), between the eyebrows (the 11s), and on the forehead. What’s involved in a Botox session? 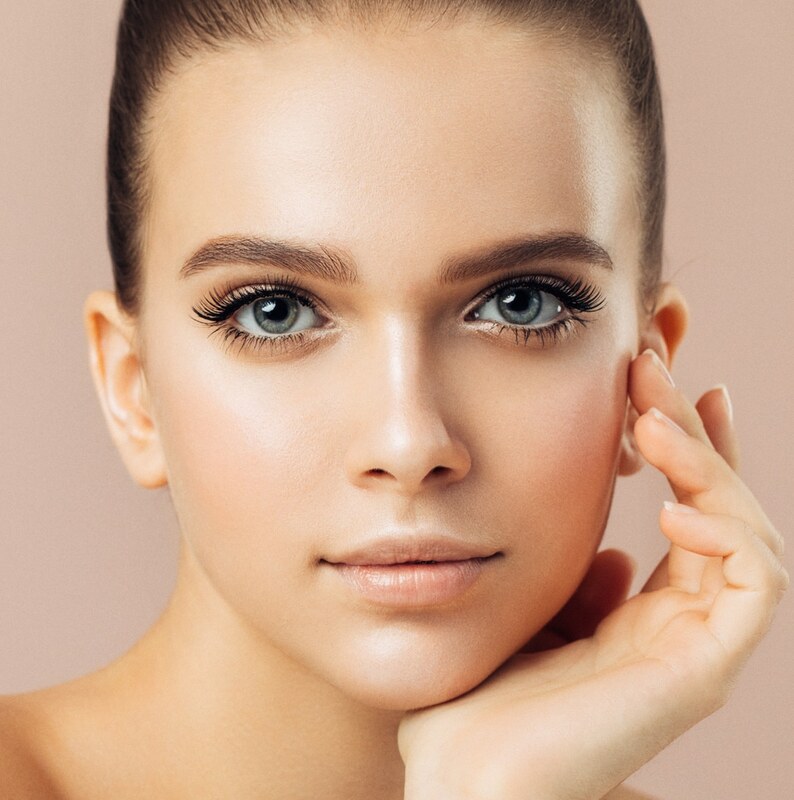 In addition to being the aesthetic world’s most famous brand name, Botox was also responsible for the term “lunchtime procedure.” That’s because a session at North Scottsdale Med Spa takes just 10-15 minutes. We inject Botox with a very tiny needle, so it is not painful and doesn’t require any topical numbing beforehand. Botox doesn’t deliver instant results, unlike dermal fillers that simply add volume under a wrinkle. Botox usually takes 3-4 days to fully relax the injected muscle, erasing the wrinkle on the surface skin. The muscle stays relaxed for about four months in most patients. At that point, the body absorbs the now-inert botulinum toxin and the muscle begins to contract again and the wrinkle returns. However, another session with the experienced injectors at North Scottsdale Med Spa will continue your results. As mentioned above, Botox works on dynamic wrinkles that form due to muscle contractions under the skin. Dermal fillers work entirely differently. As their name implies, fillers are injected beneath a wrinkle and they “fill” in the depression, pushing the skin back upward. Dermal fillers are used on static wrinkles caused by sun damage and natural skin aging, plus they return volume to areas such as the cheeks and the lips. Dermal fillers work primarily on the creases, wrinkles, and areas of volume loss on the mid to lower face. What are the side effects with Botox? Botox has been injected tens of millions of times around the world with very few reactions. The main possible problem comes if an inexperienced injector injects Botox. If Botox is injected into an incorrect muscle, it can cause issues such as a droopy eyelid. That’s why it’s very important to have Botox injected by experts in facial anatomy who have extensive experience with BOTOX, such as the certified nurse practitioners at North Scottsdale Med Spa. The main side effects after Botox injections are slight swelling and redness at the injection sites. These issues usually resolve in a day. One important thing for patients — it’s important patients not to rub their injection sites for the first 24 hours after their injections. Rubbing the sites can cause the Botox to move to an unintended muscle. Botox is priced by the unit. Your cost depends on how many Botox units you need. Once you tell us what wrinkles you want to address, we’ll give you an idea of how much your likely cost will be beforehand. Give us a call today to discuss your options.